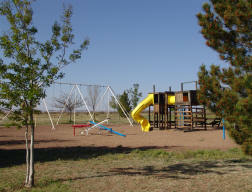 The park offers an excellent opportunity to picnic, walk, jog, fly a kite, and more. There is a children’s play area, ballpark, soccer field and restrooms. All pets must be kept on a leash & cleaned up after.